Royal Free Radio is on the air 24 hours a day 7 days a week. This page gives you our schedule of programmes for the whole week. Every day, apart from Saturday night, there is a Request programme for you to choose your own music. If you know someone in Chase Farm, North Mid or The Royal Free Hospital you can make a request for them by clicking here. We hope you enjoy the wide mix of music and types of programme available. We hope that listening to us makes your stay in hospital a little brighter and passes the time quicker. if you want to know more about the individual presenters you can click on the link to their Profile Page. Royal Free Radio presents request shows from 8 until 10 pm Sunday through Friday. To send in your requests, click here. 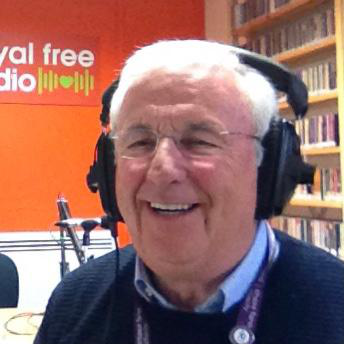 You can read what each presenter's favourite song or memory of Royal Free Radio is by viewing their presenter profile by clicking here. Playing non-stop music to keep you relaxed through the night. 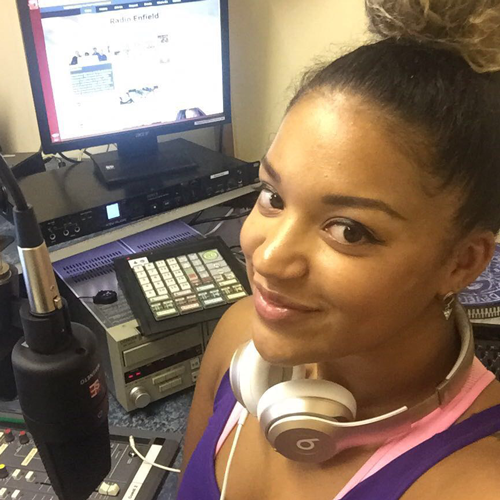 Waking you up with all the classics, Tom Kingham is in the hot seat with a cup of tea to keep him awake and all the music you could ask for! Join Ray Oxley with classic comedy taken from some of the best known TV and radio shows. The race for life is happening across London this summer to raise funds with Cancer Research UK into 200 types of cancer now open to men and women hear all about when Dearblha joins John Smeeton on Afternoon delight this Tuesday 23rd April plus lots of great music the birthday file and if you wish some requests 020 8363 6000 or www.royalfreeradio.co.uk 1.00pm through to 3pm don't miss it. Tune in to listen to a programme recalling music and memories from a year gone by. Andy presents the Tuesday Suppertime show, playing a varied choice of music ranging from golden oldies to chart toppers. Test your knowledge of the movies just after 7:30pm, no prizes but well worth a listen! Tune in to check out the amazing facts. Joe puts together a unique listening experience with features, patients requests and music you'll enjoy listening to. Yvonne & Joan visit the wards but can't get around the whole hospital so don't miss the chance to become part of the Tuesday night family by phoning in 0208363600 or by logging on to the Royal Free Radio web site fill in the request form, sent it to us and join in the fun or just settle back, relax and enjoy tonight's programme.